Discover Saratoga is the one-stop resource for all your meeting needs. Find complete convention services in Saratoga Springs NY! Whether you are planning or organizing a Saratoga Springs convention, considering a group tour to the Spa City, or arranging off-site locations for your meeting or convention, discover what others are finding out about Saratoga Springs! Contact Chloejean Tedford, or call 518-584-1531 for more information. 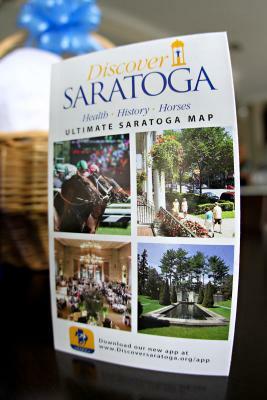 Destination brochures: (both print and electronic) are available to assist you in promoting Saratoga to your attendees. Media Assistance: Send us your conference press releases and we are happy to distribute to our media database and help support your event. Photo Gallery: We offer a comprehensive photo gallery on our website. Photos can be downloaded for you to use in your promotional materials for your conference. Use of photos is permitted only to groups holding their meeting in Saratoga. Customized Microsite: Looking for a way to drive attendance, provide event & destination information and amplify excitement for your conference in Saratoga? We can create a unique, online microsite to include things like live weather updates, local recommendations, and information about your event to give your attendees an overview of Saratoga before they arrive! Destination Expert Recommendations: We can assist in finding local speakers, tours, gift bag items, transportation, photographers, florists, audio/visual needs and more. Off Site Venue Selection/Site Tours: With several unique and exceptional off-site meeting and event venues, we can help you find the perfect setting for your group’s special event. 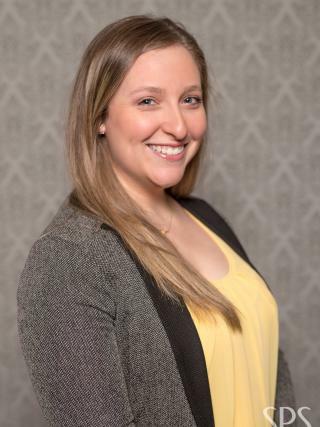 Liaison to Saratoga’s Unique Venues: We can connect you with organizations such as NYRA (Saratoga Racing), Saratoga Polo, Saratoga Harness Racing, museums, Saratoga Performing Arts Center and more. Group Activities & Reservations: Let us assist you with team building activities, group tours, dine around programs, pub crawls, and more! We can also coordinate group reservations for dining and outings. Welcome Letters, Posters & VIP Gifts: We can provide a welcome letter from the Discover Saratoga president and/or the Saratoga Springs mayor for your program book as well as distribute welcome posters to members of the bureau in the immediate downtown area. We can also provide a VIP gift for your organizations leadership. Ultimate Saratoga Map & 10% Discount Card: We deliver the Ultimate Saratoga Map and 10% Area Discount Card for attendees to your host hotel. Restaurant Menu Kiosk: Reserve our kiosk early! If your group has on their own meal times we will setup our touchscreen kiosk to have on display for convention attendees to browse local dining options. Volunteers: Staffing hospitality and registration tables, supporting events, handing out brochures, and greeting visitor and convention attendees. Voluntourism: We can help coordinate events and activities with our local community service organizations and provide an opportunity for your attendees to give back while visiting Saratoga. *Some restrictions may apply based on group size and availability.